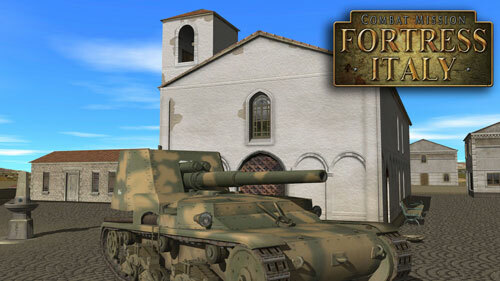 Combat Mission Fortress Italy brings wargamers to the "soft underbelly of Europe", a place that was anything but. A very often neglected theater of war, Fortress Italy starts with the Sicilian campaign from July through August 1943. Sicily was the first test for the newly reorganized and improved American forces as they battled against grizzled vets of the Wehrmacht and Luftwaffe as well as a wide array of Italian Army forces. The arid terrain offers a unique experience for WW2 Combat Mission fans. 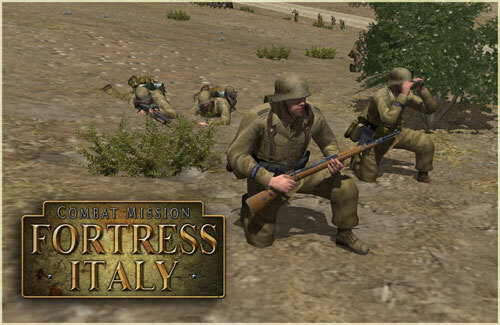 Fortress Italy transports wargamers to start of the western Allies' campaign to take the fight directly to the home turf of the Axis powers. The combat forces include the full range of historically available American, Italian, and German forces that fought in Sicily. Some of the highlights are elite formations such as Italian Bersaglieri, American Rangers, and the German Herman Göring Division. In addition to the completely new Italian forces, both the American and German organizations differ significantly from those found in other Combat Mission games. Four challenging campaigns and 17 stand alone battles provide engaging combat for control of Sicily. To fight these battles you have at your disposal 38 vehicles and loads of other weapons, many unique to Fortress Italy.